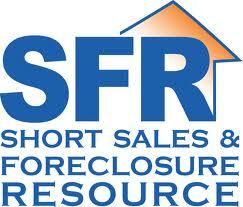 esource SFR designation is one of the most important designations you can get if you specialize in distressed properties. This designation is offered through the California Association of Realtors and is essential to understanding the intricacies and the methods to achieving is successful transaction when trying to complete a short sale or deed in lieu of foreclosure. As an experienced REO broker and short sale broker I have successfully closed many short sale transactions in Orange County, CA. I can honestly say that successfully closing a short sale is one of the most rewarding experiences I’ve had as a Realtor and real estate broker. the emotional toll that the pending foreclosure can have on a seller is extensive and very real. When you successfully close a short sale the seller feels an immediate sense of relief and can finally move on with their financial life. designation. this designation will assure you that you are working with a professional and someone that understands the intricacies of the short sale process. You want to avoid the pitfalls that can lead to an unsuccessful transaction and ultimately a foreclosure on your record.